After Builders Cleaning Domestic & Commercial Lea Bridge E17 | Quality Property Care Ltd.
You can get in touch with us at any time of the day or night, just call 020 3746 4287 and our pro team will be more than happy to help you anyway they can. 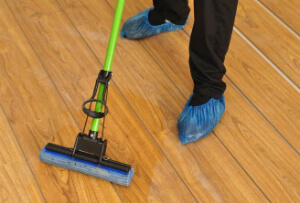 Our flexible booking allows for late evening and early morning cleaning slots, with availability during the bank holidays and weekends, free of additional charge. 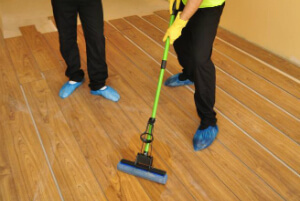 The other benefits of using the professional services for cleaning after builders, include the fact that you can immediately start working or living in the renovated office, premises or home, right after the building works has finished, and the cleaning experts has performed a deep clean. Plus, the contract construction clean-up service ensures that the air in your house or office is free of dirt and other harmful airborne particles which can cause allergies, asthma attacks, breathing and eye irritations and other problems. The professional cleaning company Quality Property Care Ltd. offers a complete top to bottom builders clean, which can be done as soon as the builders are finished with the refurbishments. The after builders cleans can be done on the weekend, on the bank holidays, in the night, or when you are not home, for your convenience. Every sent team of after builders cleaners is composed of hygiene experts with special techniques, proper and good education for the rich and purpose experience. All of the Quality Property Care Ltd. after builders cleaners in Lea Bridge E17 are vetted and insured. Your home is at safe hands. If you want to, you can leave some special requirements or instructions to our kind technicians. Keep in mind that you don`t have to move any furniture or to provide us some cleaning liquids. We have the right post-renovation cleaning equipment and strategy to do the purge as efficiently and soon as possible! Vetted after builders cleaners in Lea Bridge E17: leave them the keys and they will do the purge!